How cute is this little smiling Yorkie? 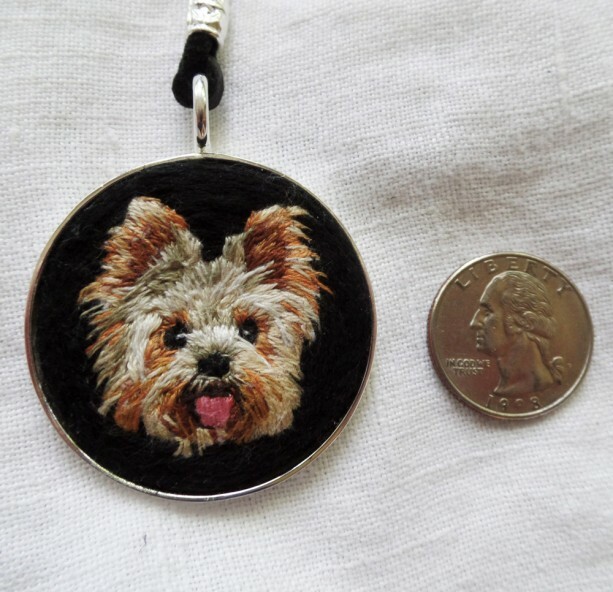 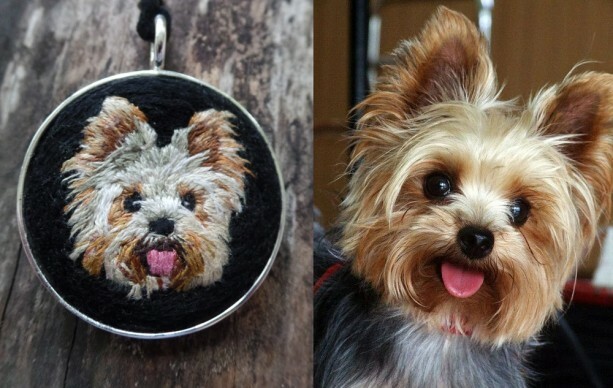 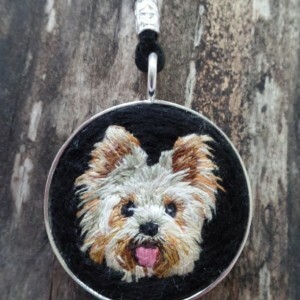 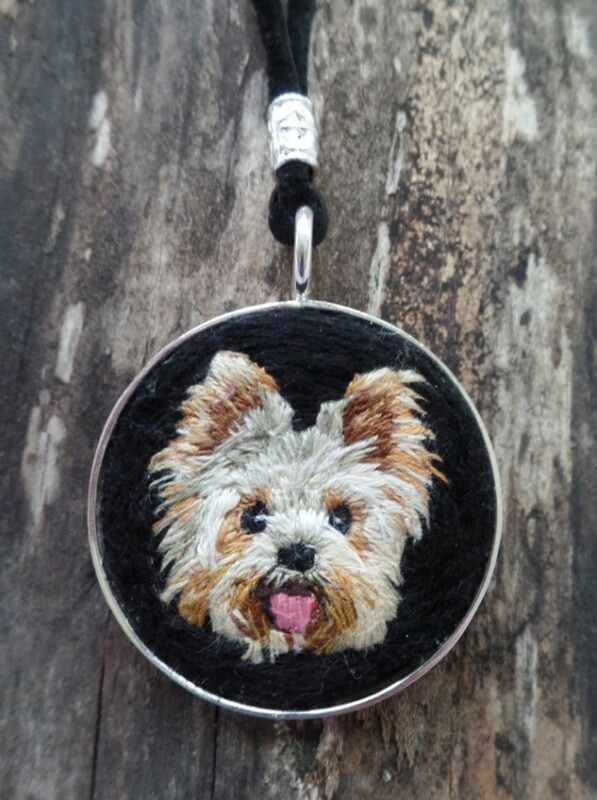 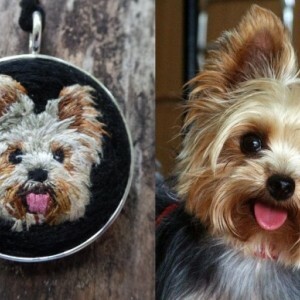 Have a Yorkie you love? 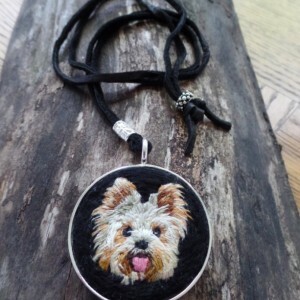 Carry him/her with you always with this beautifully hand embroidered necklace. 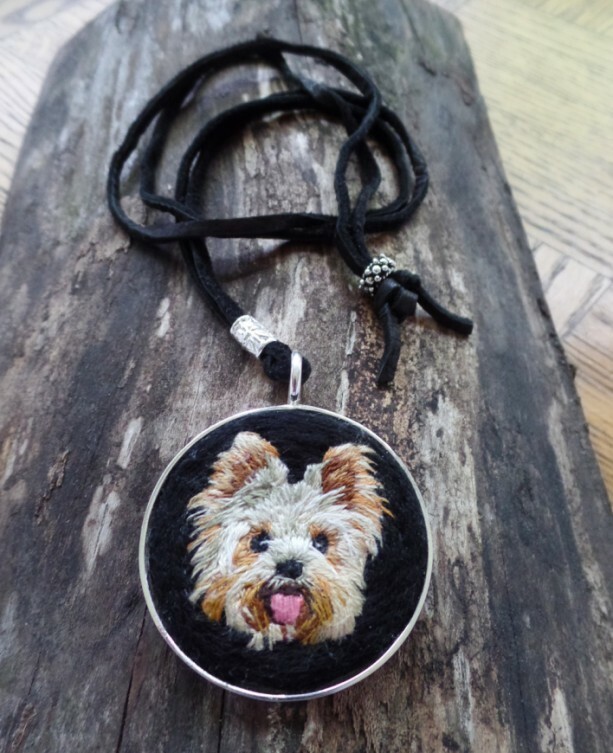 - 43mm Sterling Silver Plated Bezel - Extra long (43") adjustable black deerskin cord - Boho style silver accent bead Let me make a special pet portrait necklace for your special friend!